Ted Cruz (R-TX) and I sent a letter to Amazon CEO Jeff Bezos today making the case for Texas to be the home for Amazon’s newly announced second headquarters. Multiple metropolitan areas in Texas are pursuing the new facility. You can read the letter here, and full text is below. With the recent announcement that you will be expanding operations to establish a second headquarters, please allow us to be among the first to encourage you to select the Lone Star State for Amazon’s expanding business interests. Amazon’s rapid growth and business success have been a major economic driver both in the United States and around the world. Everything is bigger in Texas, and that includes our economy, our skilled workforce, and our quality of life. Texas boasts the ideal combination of a talented and highly skilled workforce, limited government, low taxes, and world-class educational institutions. As a result, large multinational corporations and even small start-ups are relocating to, or launching their endeavors in Texas. 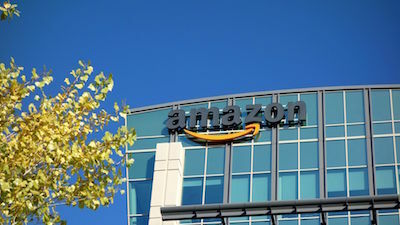 Amazon is among the many diverse businesses that have recently taken interest in Texas, including automotive and aerospace/defense manufacturers, financial services firms, and technology companies. The Dallas-Fort Worth Metroplex alone is home to more than 10,000 company headquarters—the largest concentration in the United States. Three of the top-five fastest growing cities in the nation are in Texas: Houston, Austin, and San Antonio, and each are becoming well known as global hubs for technology, data-driven business, and talent. More than 350 people move to Texas each day and Forbes recently named Texas the best state in the country for talent attraction. If Texas was counted as its own GDP globally, it would boast the 10th-largest economy in the world. We’ve added more than 2 million private-sector jobs over the past 10 years, and we have led the nation in exports for 14 years. For 12 years in a row, Chief Executive Magazine has ranked Texas as the best state in which to do business. We are pleased to further discuss the appeal of the Lone Star State at any time. Thank you for your consideration as you select a new headquarters for your expanding corporation.